Pop musician Beck released his 13th album, “Colors,” on Oct. 13, completing a project over two years in the making. While it is hard to follow an Album of the Year, it would do Beck’s newest album a disservice to call it anything short of a work of genius. Upon an initial listen, the album feels like a slightly overproduced mix of overtly poppy songs. This album is upbeat and optimistic about life and love that is filled with themes of hope and seizing the day. Further listens actually reaffirm those thoughts, proving to the listener that this will not be the same melancholic journey that “Morning Phase” was. This is not to say that “Colors” is not a journey in itself. The album feels unified, with songs such as “I’m So Free” and “Wow” promoting a positive outlook on life, while the song “Dear Life” is about trying to keep one’s head up and maintain positive outlook, even when everything else seems to be going wrong. The halfway point in the album, “Dreams,” encourages listeners to wake up from their dreams, go out and live life. “Seventh Heaven,” “No Distraction” and “Square One” all feel like love songs of sorts, which brings further unity to the album, for they are scattered throughout and do not hit the listeners all at once. Beck draws from contemporary and retro influences on this album, as well. The song “Wow” definitely has some modern-day hip-hop elements, and Beck himself even said that he wanted Chance the Rapper to feature on that song, but it fell through for reasons unknown to Beck. “Seventh Heaven” and “I’m So Free” feel like late ’80s/early ’90s pop hits, and the instrumentals of “Dear Life” clearly draw influence from The Beatles. “No Distraction” has an opening that feels reminiscent of acts like Of Montreal and Gotye. More of a melancholic ballad than the rest of the album, the final song, “Fix Me,” is so strikingly different that it fits perfectly as a nice bookend to this album. 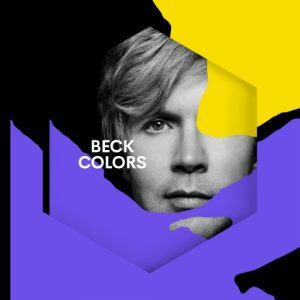 Last year, Beck’s “Colors” was nearing the top of everyone’s “Most Anticipated Albums” lists, and he certainly delivered. The diversity on this album guarantees something for everyone, achieving a level of variety and unity that should be commended. Whether someone is a fan of Beck’s nonsensical hit “Loser,” his wistful “Morning Phase” or you’ve never even heard a song, this album is a must-listen.